She hasn't been with us for even a year… and yet our life is bound by her forever. This little lady that came to us carried on the wings of hope. We celebrate her this year with good reason. creating this past year for us, that is absolute magic. Do you ever doubt if there is a God? Spend a day in my household. I will show you the stuff of the God. I live daily walking among miracles. I bought these on clearance the day after the Bengals lost in the playoffs. I will take them with us to Guatemala because they are a piece of our home. 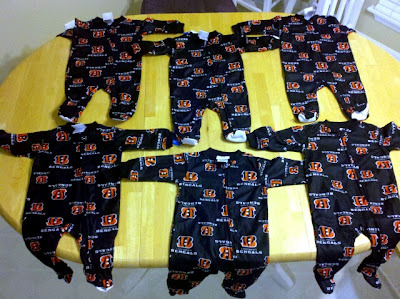 Soon these little onesies will cuddle 6 little babies like my Sterling that can-not be cared for by their mothers. I am not here to condemn or even try to understand the sacrifice of those ladies, I am simply here to hug close those little lives and to hand them over to families that will experience celebrations like I had today. There is nothing greater than love. There is nothing more powerful than the embrace of family. We can offer a tremendous hope in the face of utter despair. This is the story of my daughters. This is my story as well. This is in fact the longing of all our hearts. 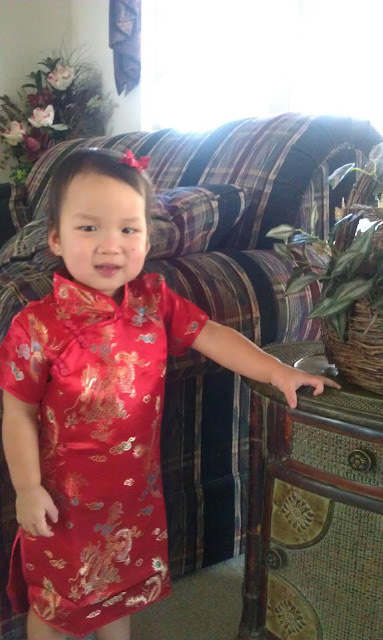 Happy new year my dearest Sterling Mei. I love you.